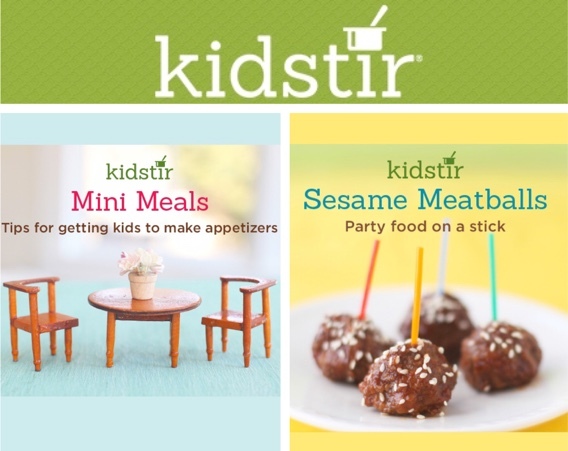 Next time your kids have a playdate have them cook up a mini meal with their friends! They can keep it simple by making finger foods and small plates. Check out our mini meal tips! Looking for a hearty finger food for a party? 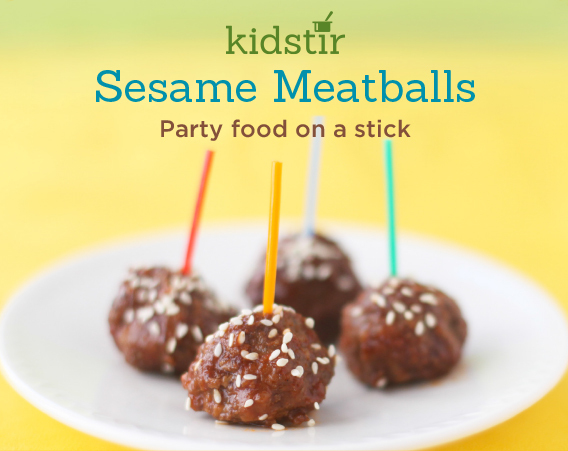 Serve up a platter of these mini Sesame Meatballs. They are first baked in the oven then simmered in a honey garlic soy sauce on the stove or in a crockpot. Enjoy! 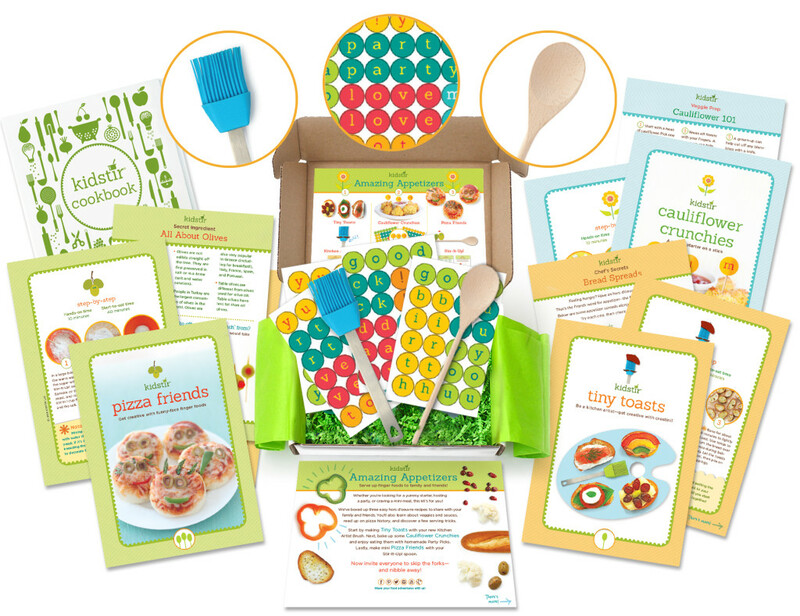 Our April kit is a winner with easy classics like homemade pizza a kid-friendly twist on healthy veggie cauliflower and chic and simple party appetizer crostini. Packed up with fun party pick stickers an eco-friendly pastry brush and a handy wooden spoon – your kids will love stirring up fun in the kitchen! April 15-16, 2016 is the final weekend to get 30% off your Amazing Appetizers kit when you start a new subscription. Get on board today with code AMAZING30. Happy cooking!